Mountain View Villas – Two of the finest rental villas situated in one of the most desirable areas making it the ideal location for families, couples and singles to enjoy a great holiday experience in the tropical island paradise of Phuket. 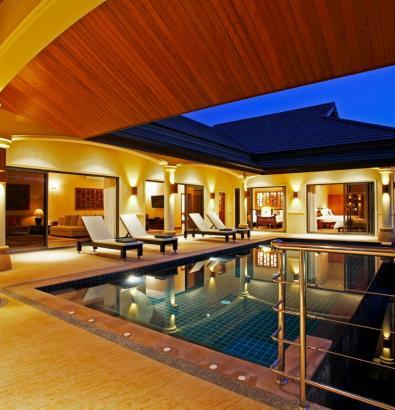 The villas are situated close to the beautiful beach of Nai Harn (recently voted by Trip Advisor as the 3rd best beach in Asia) and located at the South West tip of the island. Situated in a peaceful and upscale area on a quiet, traffic-free cul-de-sac you have easy access to local amenities, including a full range of restaurants, family friendly bars, shops and banks, all a short walk from your villa. 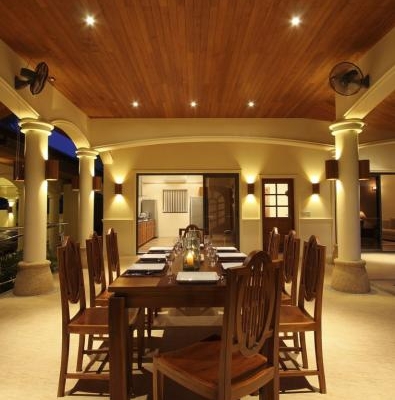 Both villas provide quality and spacious accommodation; they were built and equipped to an uncompromising standard. Villa 2 was completed in January 2011 and Villa 1 was refurbished in 2014. We have an ongoing maintenance and upgrade program that ensures the properties are kept looking like new. They are managed by the English owner and maintained and serviced on a daily basis by our full time staff. The Villas are located on adjacent plots, but are completely private and separate making them ideal for larger groups (sleeping up to 28 adults) to rent both properties at the same time. 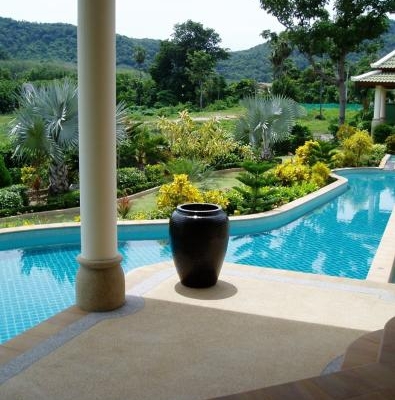 They are set in their own large private gardens with large swimming pools. 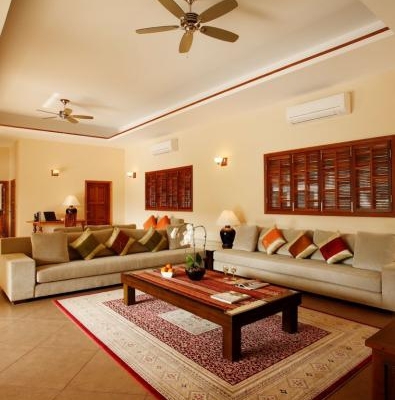 Villa 1 provides spacious accommodation with 6 bedrooms and 6 bathrooms and can comfortably sleep 16 adults. 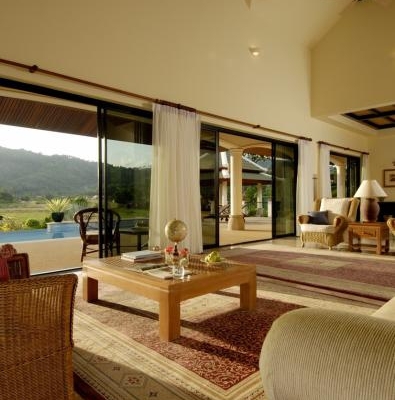 Villa 2 provides similar levels of accommodation and has 4 bedrooms and 4 bathrooms and can sleep up to 12 adults. We provide a full range of services for our guests. 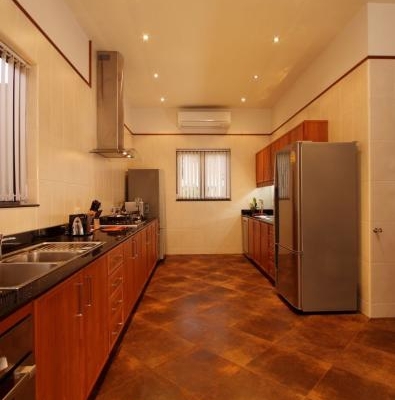 Basic services such as airport transfers, daily housekeeping, gardening, towels and linen, unlimited Internet access and satellite TV are all included in the rental price. In addition we provide a full range of supplementary services and concierge assistance to enhance your holiday experience. Operating since 2007 we offer our guests quality accommodation at realistic prices, great service and peace of mind in dealing with a well-established and reputable business. 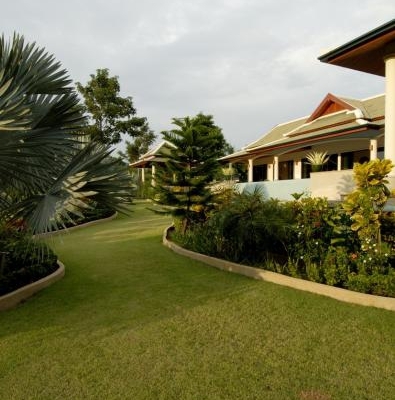 Villa 1 has 6 bedrooms and 6 bathrooms (5 en-suite) and can sleep 16 adults with additional space for cots. 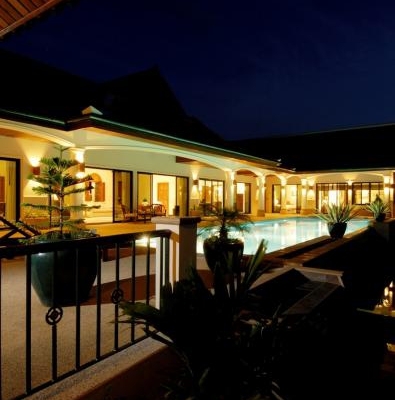 This is the perfect venue for that special family gathering and has a huge amount of seating by the large pool. 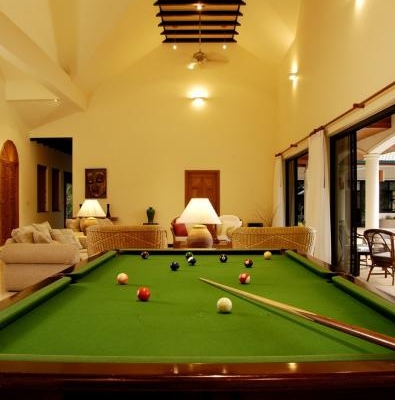 The pool is the focus of this amazing villa with sunset view over the mountains to the rear. 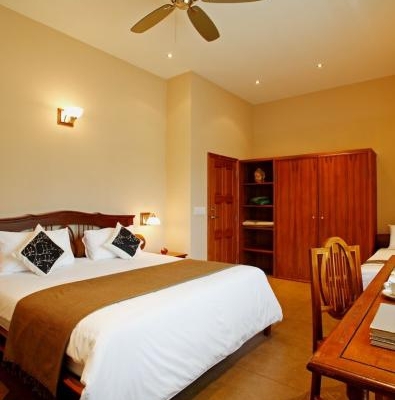 Villa 2 has 4 bedrooms and 4 bathrooms (3 en-suite) and can sleep 12 adults with ease. 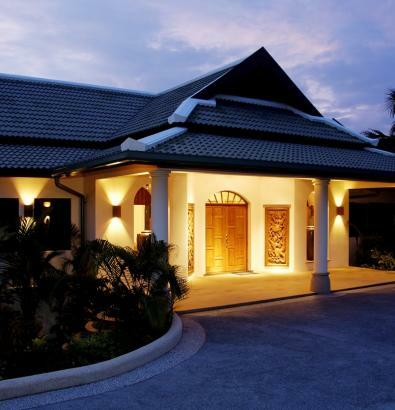 This is the newer of the 2 villas and provides spacious and luxurious living and sleeping space. Huge covered area by the poolside provides guests the ideal environment for tropical living and pool railings additional pool security. “Oh, East is East, and West is West, and never the twain shall meet.” Really ? Join our Newsletter to stay up to date with latest offers and promotions.